While I was doing research for my last article, I reached out to Steven Miller, who is the owner of Chatterbox Pub in Minneapolis. I thought it would be interesting to get his take on the retro gaming scene in the Twin Cities, especially since his pub was one of the first to service the local retro gaming community. I walked into the bar and was instantly taken back to my childhood as I noticed the vintage Nintendo Power magazines adorning the walls. I could see Miller’s hosting skills in play as soon as he greeted me at the door, where he offered me a cup of coffee and ushered me to a seat at the bar. The pub location itself has an interesting history. It used to be a speakeasy in the 1920s and, according to Miller, is one of the oldest pubs in the city. This makes it an interesting location, and seems oddly fitting when you pack a bar full of old tube TVs, Nintendos, some great boardgame classics, Atari consoles, and games with Miller’s name still written on the back. We dived into why the Twin Cities is a great market for retro gaming. Miller believes that the Minnesotan population has a greater appreciation for history, the arts, and music due to the environmental climate mixed with a high amount of industrial investment in the city. This interesting mix has generated a high interest in retro board gaming and video games. Some people are interested in these hobbies to appreciate the art of it, while others want to use it as a way to connect back to their childhoods—a reason Miller and I believe drives a lot of couples to have their first dates at the pub. 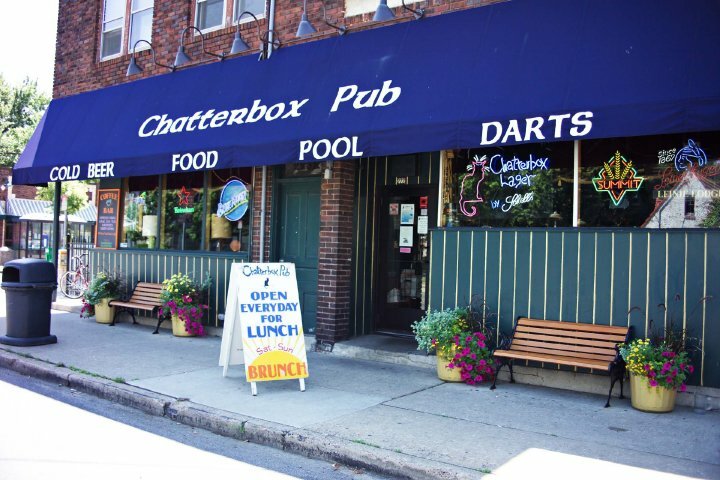 City Pages has consistently voted Chatterbox Pub to be one of the best places to have your first date. To me, this suggests that people want to connect with one another and share experiences from their childhoods. Miller described in detail how he’s noticed first dates at the bar and the joy that a newly formed couple might get from playing Monopoly or Candy Land. One of the many first date stories Miller tells drew my attention as it connected with a personal passion of mine: The Legend of Zelda. According to Miller, a couple came into the pub for their first date and ended up playing the original Legend of Zelda on the original Nintendo from mid-afternoon until bar close, attempting to conquer the entire game in one play session. Now that’s what I call an excellent first date! I can see why a place like this might attract two people who might not know each other that well. Couples can bond over a board or video game through the recollection of childhood experience they might both have in common. This bond can be the start of many a romantic relationship, at least from what Miller has seen in the past. 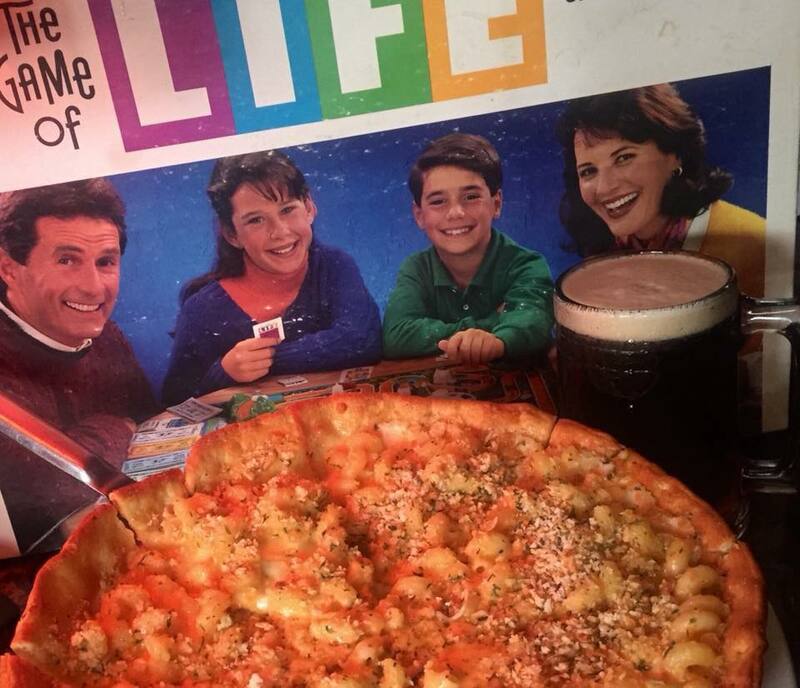 I think Miller nailed this feeling completely on the head, which is why I believe the Twin Cities consumers tend to enjoy experiences looking to reignite their youth, and also that Chatterbox Pub feels like a great location to have a first date.